The High Street Historical District in Ipswich was added to the National Register of Historic Places in 1980. High Street was once the main residential and commercial street of the new community and several of the 17th, 18th and 19th Century houses still remaining once served as taverns, stores, or craftsman’s shops. 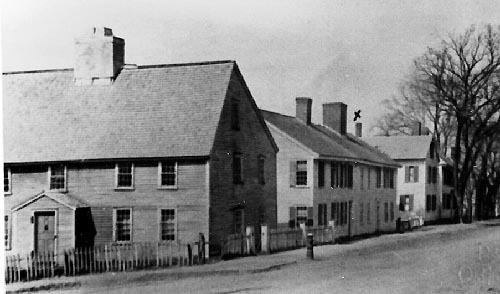 High Street was part of the Old Bay Road with an overnight stagecoach stop in Ipswich was established by 1761. Central Street was built in 1871 and much of the High Street traffic was redirected. The High Street District extends east and west along the side of Town Hill, from the intersection with North Main Street on the east to the viaduct over the B § M Railroad, tracks on the west. 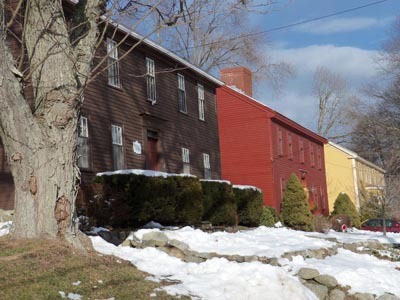 The district includes the 1634 Burial Ground and intersects the East End and Meeting House Green historic districts. Lord’s Square is not included in the district, having lost its historic character. High Street dates back to the founding of Ipswich in 1633. It was the main residential and commercial street of the new community. The predominant character of the street is now residential, but several of the 17th, 18th, and 19th Century houses along High Street earlier served as taverns, stores, or craftsman’s shops. One of the most important was the inn. 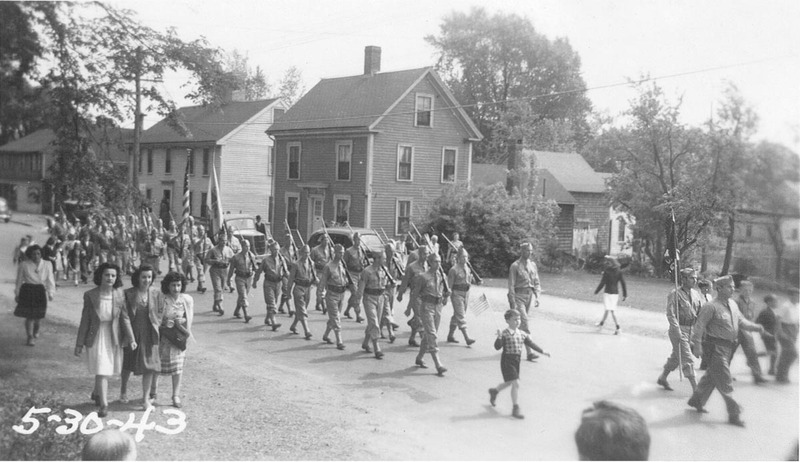 Ipswich was on the road to Boston and a constant stream of travel passed through the town. This was augmented by the Supreme, Superior, and Probate Courts which held their sessions in Ipswich, and by political conventions. A regular stagecoach with an overnight stop in Ipswich was established by 1761. Eight to twelve stages were passing through town daily by 1828. Ipswich inns flourished for many years. Download a PDF with complete description of the High Street Historic District. Two popular ordinarys were located on High Street, The White Horse Inn and the Perkins Inn. Both were in business by the mid-17th Century, and both were infamous among the townspeople for many riotous evenings. During the 18th Century, cabinetmaker and carpenter shops lined High Street. Industry shifted to textiles in the 19th Century, and this main boulevard was the site of two important enterprises. Between 1827 and 1832, the New England Lace Company operated out of Dr. John Manning’s House, since removed. Hosiery manufacture, once the main industry in Ipswich, had its beginnings in Benjamin Fewkes’ small shop. He worked on two stocking frames built by the Peatsfield Brothers in 1832, the first frames made in the United States. Central Street was built in 1871, and much of the High Street traffic was redirected. At this time, the street began to acquire its purely residential character and it remains so today. The High Street District extends east and west along the side of Town Hill, from the intersection with North Main Street on the east to the viaduct over the B § M Railroad, tracks on the west. The district includes the 1634 Burial round that extends up Town Hill near the middle of the area, but excludes Lord’s Square, a group of modern commercial structures on the south side of the street, just west of the cemetery. The High Street National Register Historic District boundaries define the area of earlier settlement and later growth. Two other districts, the East End and Meeting House Green, define the eastern border of High St. Running west the boundary lines follow back lots of both the north and south sides of the street. Lord’s Square has been omitted from the district as it no longer conforms to the character of the area. The boundary lines continue west to the High St. bridge, which is a distinct boundary, for beyond it were pastures during the 17th and 18th centuries, and the structures in this area today played no part in High St. development. A 1910 view of High Street looking north from Mineral Street. 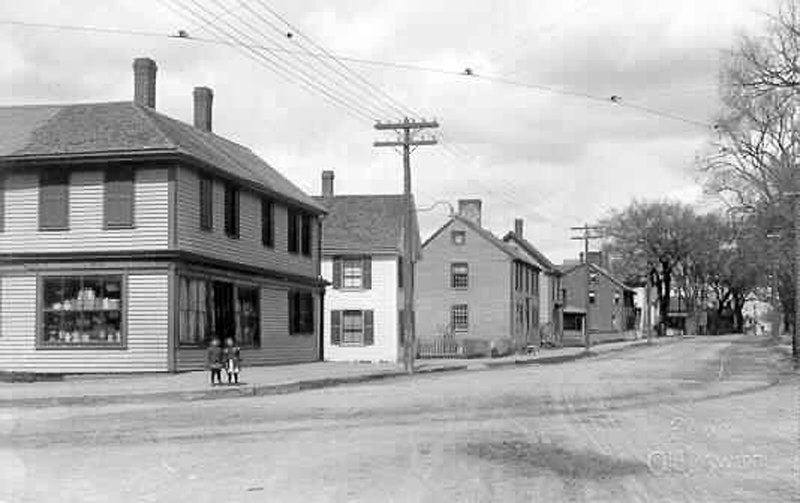 Asa Lord’s Store and Burnham’s Grocery in the middle of the photo at Lords Square are gone, but most of the other houses in this photo are still standing. This colorized photo from the late 1800’s was taken from the intersection with North Main Street. The John Gaines house is on the right. 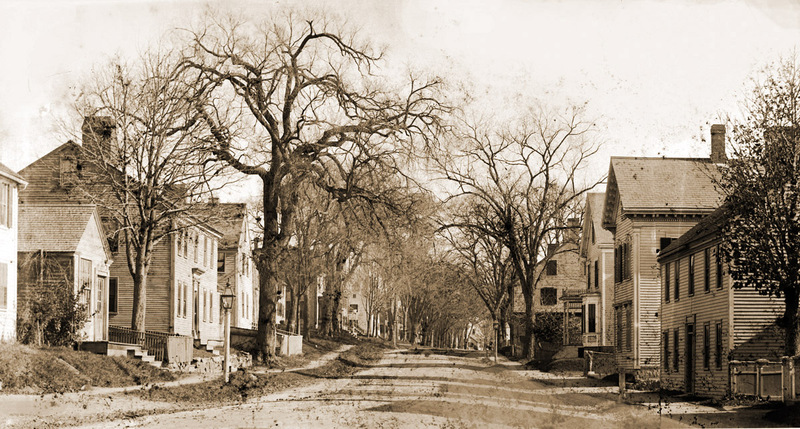 Elm trees graced High Street and there were no electrical lines. High Street in 1859, looking toward North Main Street. 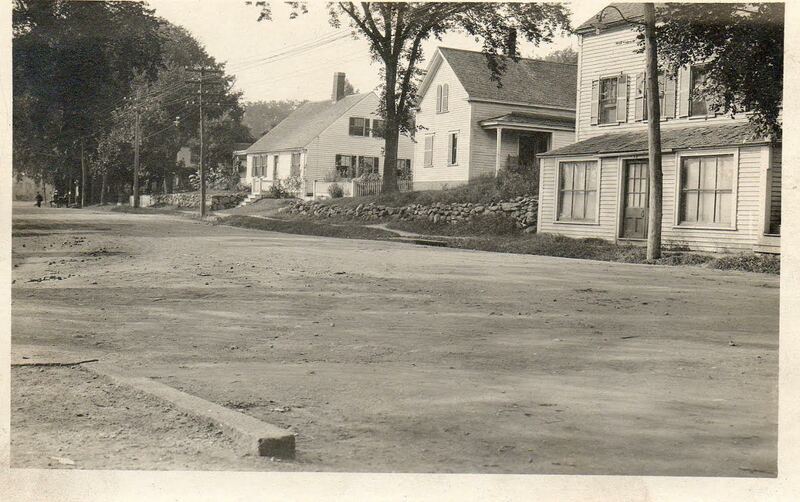 The Stone-Rust house is on the left in this photo from the early 1900’s. A small rise in High Street was removed in the 19th Century. 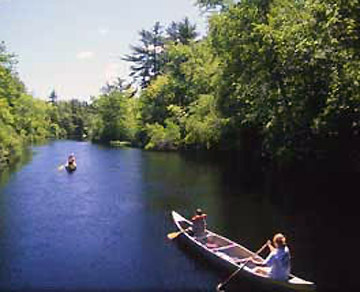 This photo is taken looking toward North Main Street. On the fight front is the Caldwell house. 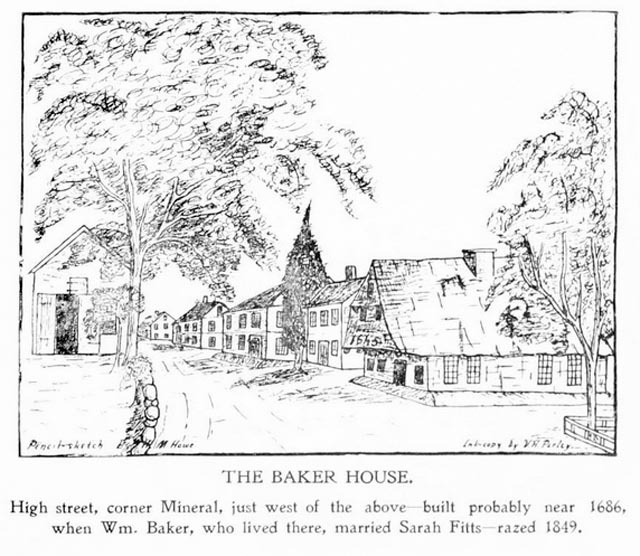 On the left front is the Lord-Baker house. The corner of Manning and High Street. The houses on the left and in the center no longer stand. 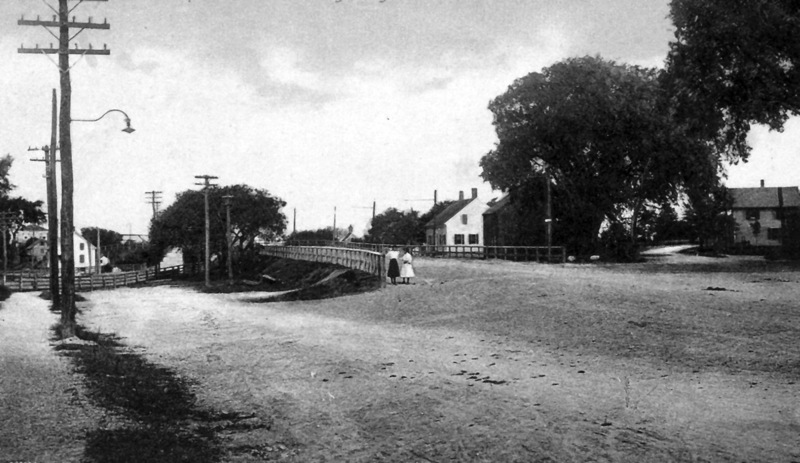 High Street before the bridge was built, with Town Farm Road on the right.